Our aim is to tell a story, to transmit love for our work which has something artistic in itself but, above all, to pass on the wonder of nature and its fruits, its spontaneity and its rhythms. Phases, moments, colors, scents are transformed into flavors, smells, aromas. Thanks to its beauty and its charm, the evolution of a coffee bean seems to be like a caterpillar which turns into butterfly. In those passages there is so much poetry, so much history, so much culture which has chosen "espresso" as a typical Italian ritual for centuries, something unique that belongs exclusively to our beautiful country. Even though that ritual is firmly linked to Italy, it is certainly not easy and simple to manage to transform a simple coffee into a drink which holds all its flavor in 25 milliliters of espresso during 25 seconds of preparation. There are several steps to be observed, followed until you come to hold the "arm" of the coffee machine and pour coffee into a hot cup. Well, those steps are basic and a perfect barista should be aware of them. 20 years ago Fausta Colosimo - Trucillo Managing Director - decided to set up a School of Professional Training where everyone, from the company chain to distributors without excluding curious and lovers of the "dark drink", could have improved to offer a greater understanding of this sector. This idea has never changed over years, perhaps it has (only) improved: spreading the culture of Italian quality espresso. 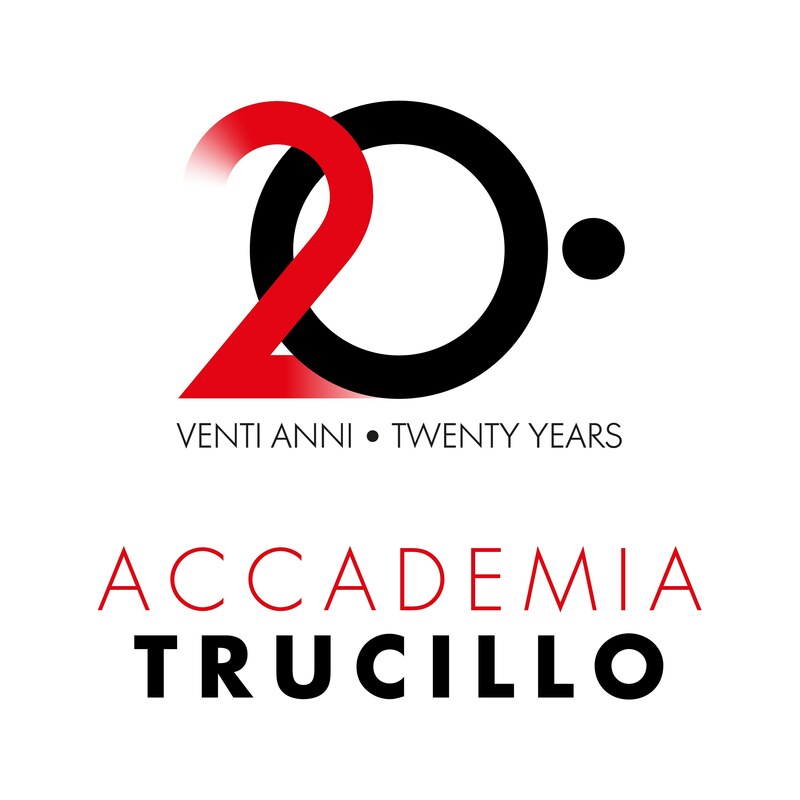 Trucillo is ambassador of this culture all over the world, both yesterday with the name " Training Center" and today with its clearer and more defined identity as "Academy". "It was a leap in the dark at the beginning - Fausta Colosimo explains - Nobody talked about training and at the same time there were no professional figures who shared their skills. Despite this, we have built an ambitious training project, which has changed over years according to the market needs and always in constant evolution. We knew it would be difficult but we persevered, being convinced that we were creating something right. And today we are celebrating the result of our first 20 Years. Since 1998 the oldest School in southern Italy has attracted 6000 Italian and foreign trainees for over 500 events". Everything starts from the barista, the crucial link of this wonderful chain between coffee producers and the final consumer: his skill, his expertise and his passion guarantee the transformation of this product in something excellent. "The process is very complex and incorrectly considered trivial. It is not enough to have the right equipment available - Fausta Colosimo continues - you need to know about blends, where coffee comes from and how to guarantee its perfect extraction. The chain of all these elements, only if perfectly placed, brings a quality coffee into the cup". The oldest Coffee School of southern Italy is a Training Point of the International Institute of Coffee Tasters and it is a training center for Coffee Diploma System SCA, the Educational System of Specialty Coffee Association, where Antonia Trucillo, Head of the Academy, is also the AST Trainer for 5 Modules: Green, Sensory, Roasting, Barista and Brewing. "A wide and diversified educational choice - Antonia Trucillo, today Head of the Academy, explains - with several courses organized in Italy and abroad because we firmly believe that only by focusing on training is it possible to create value and make our Made in Italy and our Espresso true quality brands". The success of Trucillo's teamwork has also been confirmed abroad where the company has been immediately and extremely appreciated from its distributors all over the world and this has helped to activate Trucillo Academy branded Training Schools in Toronto, Shangai, Dubai, Santiago Chile, Prague, Amsterdam and new opening are planned during this year. After all, everything in Italy is lifestyle or considered a popular tradition is admired all over the world. It is an excellence recognized by the whole sector and from all over the world and for this reason there will be celebrations and events to honor the Academy, which will take place at the new location in Via Cappello Vecchio, the epicenter of training activities, meetings, comparisons and sharing of experiences. "We are working on a series of initiatives designed to involve both professionals and general public - concludes Antonia Trucillo - Coffee is a very dynamic universe, we want to be active promoters of a real coffee culture, showing also the less obvious aspects and promoting the creative meeting with other sectors, from pastry to wine and food, from art to the world of communication and social networks".